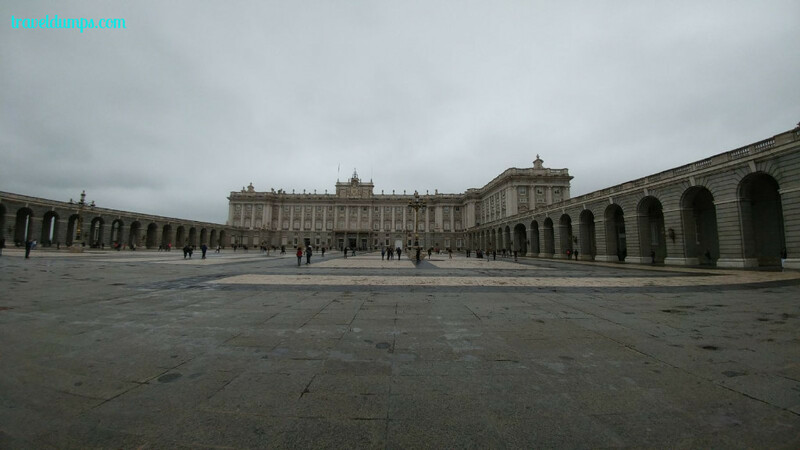 My long weekend in Madrid. 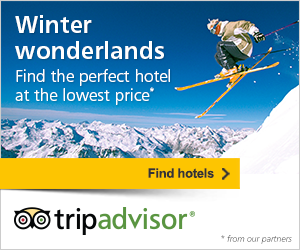 Upon leaving the departure gate at Madrid airport you will almost immediately see a Metro stop. We purchased a three day ticket for 18 euros and found the Metro system extremely easy to navigate and don’t think we ever waited over a minute before a train arrived. 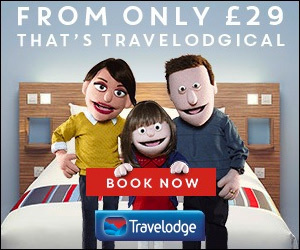 It was also well lit and extremely clean and would therefore recommend it over using taxis to get around. 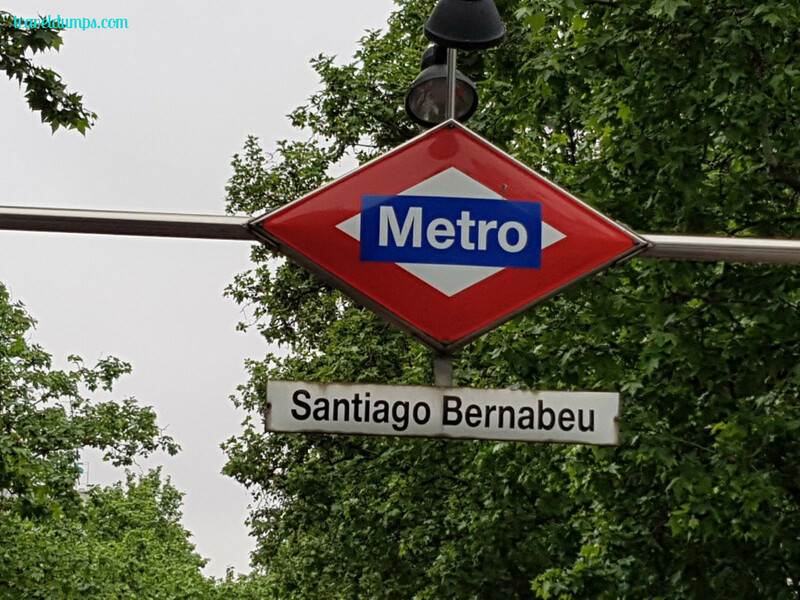 We went straight to the Santiago Bernabeu stadium home of Real Madrid to try and purchase some tickets for the game against Valencia the next day. We managed to get 8 tickets but we were all split up and dotted all over the ground but that didn’t disappoint us too much as we were just pleased to get tickets. 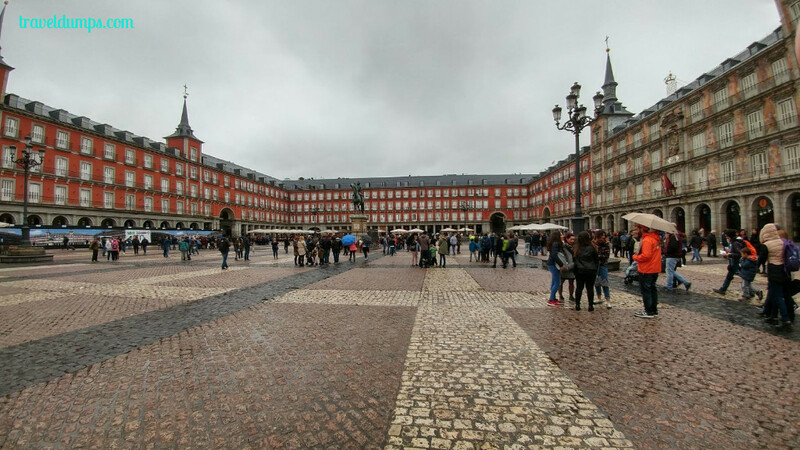 We then headed to the centre of Madrid getting off at Sol station and picked up the keys to the apartment we were staying in which was just off Puerta del Sol. 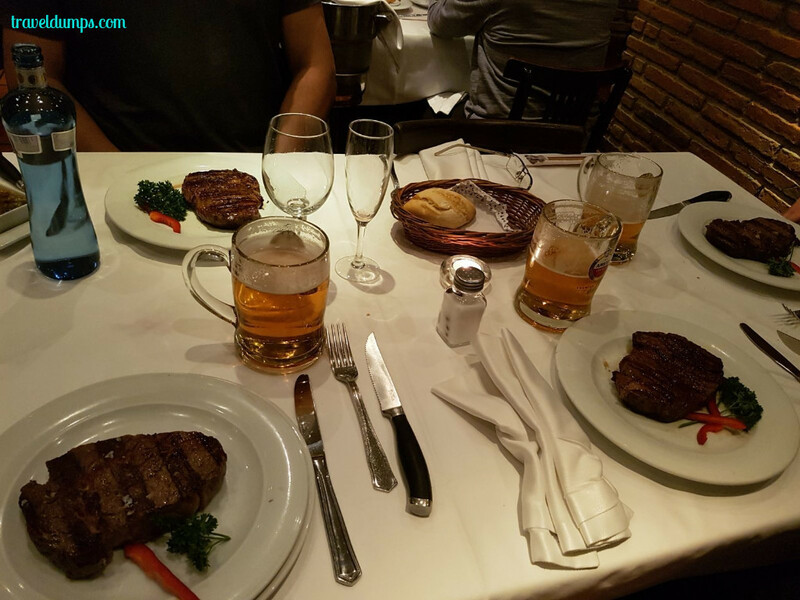 After settling in the apartment we headed out in search of food and didn't need to go far as a couple of doors down we found an enticing restaurant that was an Argentine steakhouse called Di Maria which was a wonderful choice. 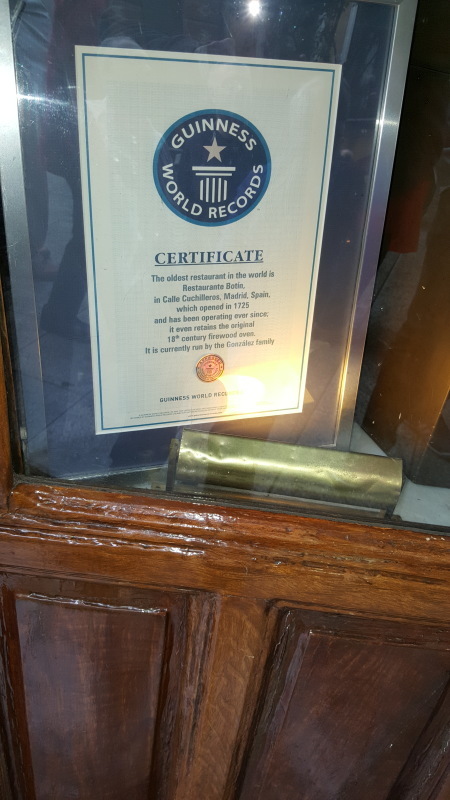 Steaks were so tender and tasty, the service was excellent and we had a complimentary glass of wine and a pudding. We enjoyed it so much that we ended up going back for a second time on the Sunday evening. 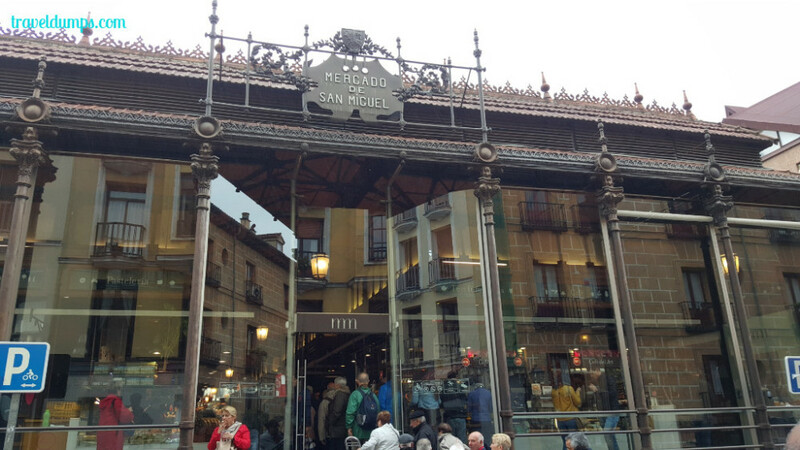 However one thing to state about Madrid is you will never go hungry, there are restaurants, bars, and fast food establishments everywhere The fast food chain called Cerveceria 100 Montadito is worth a mention as they did coffees for a euro as well as lots of cheap baguettes and other food choices. 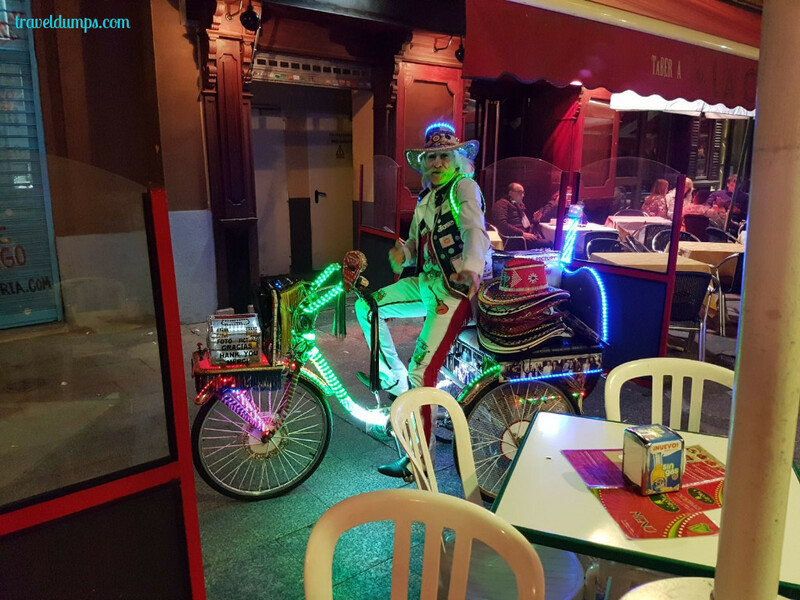 Most Spanish bars also give you a tapa when you order a couple of drinks and some of them were divine. 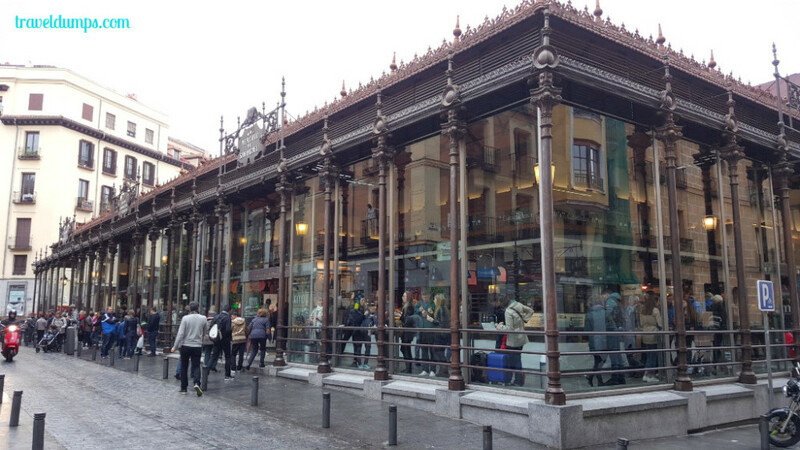 Also make sure you check out the Mercado de San Miguel indoor market which is near the Plaza Mayor and is the place to go to sample a whole variety of different Spanish cuisine and drinks. The next morning we went for a walk around the centre of Madrid. 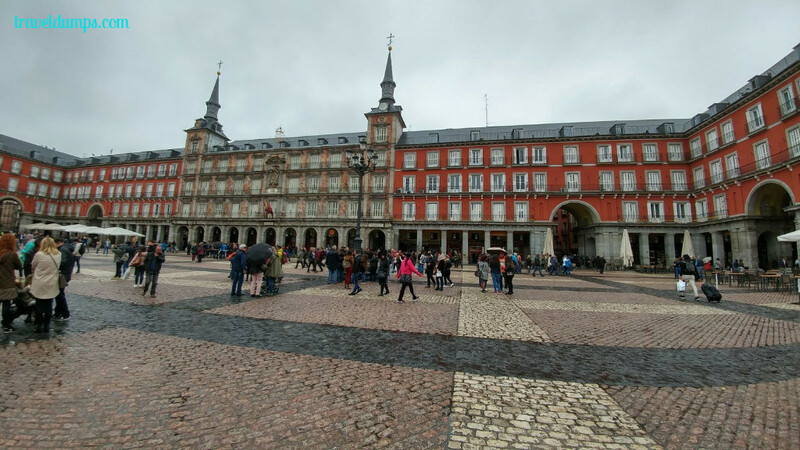 The Plaza Mayor was only a short walk away from where we were staying and was extremely crowded by 11.00am but is an impressive site that you have to see. 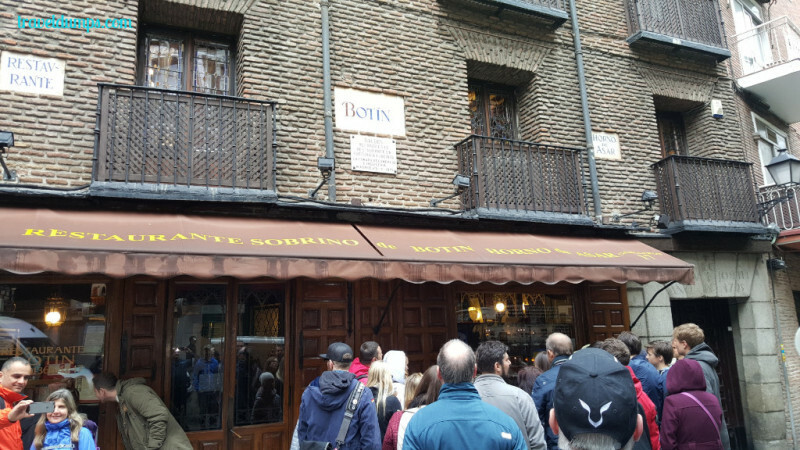 We then looked at Botin reataurant which has been recognized by the Guinness book of records as being the oldest surviving restaurant in the world. 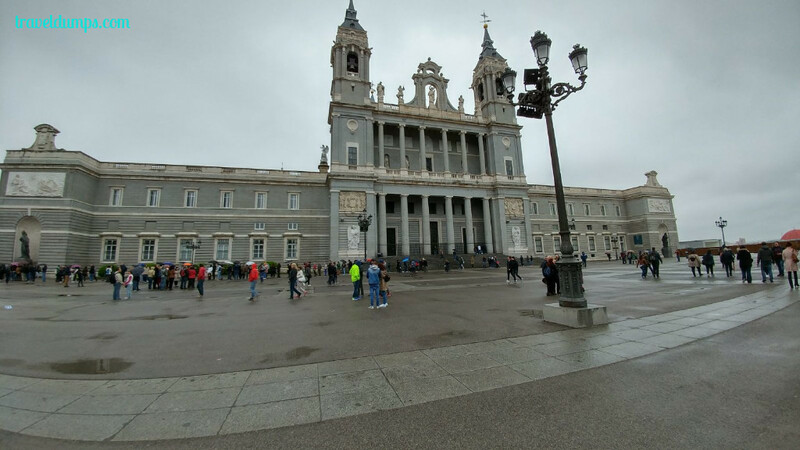 Another 10 minute walk from here was the Royal Palace. Queues were massive when we got there at Midday so we never got chance to go around. But still admired the building and gardens. 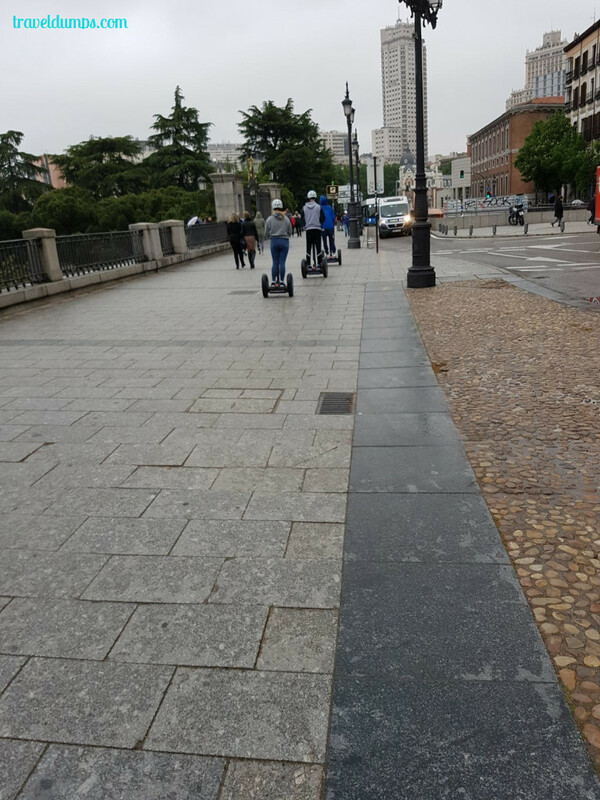 We saw a number of tourists undertaking Segway tours which would be a great way to get around the streets and if we had more time something we would have definitely tried. 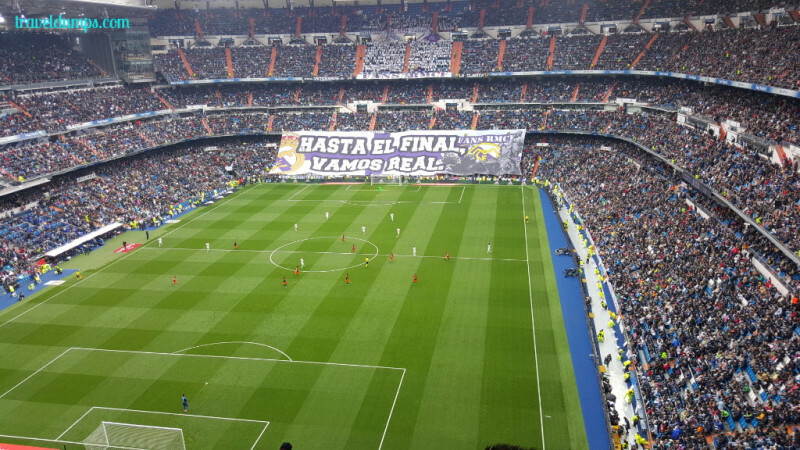 We then headed to the Bernabeu, gates only open an hour before the start of the game and we got there 45 mins before kickoff and the ground was still empty with most fans not getting to their seats until 15 mintes to kick off. Such an impressive ground to be located in the heart of such a major city. Even if you don’t manage to secure tickets to a Real Madrid game then I would definitely recommend going on a stadium tour which costs 18 euros. 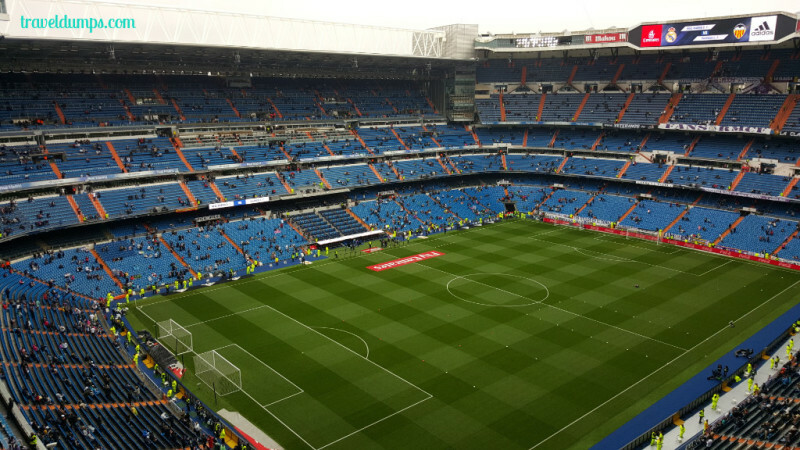 As a neutral and having been fortunate enough to visit the San Siro, Allianz Arena and the Nou Camp, I thought the Bernabeu was the most impressive. The game itself was a close affair with Ronaldo scoring a good header before half-time. 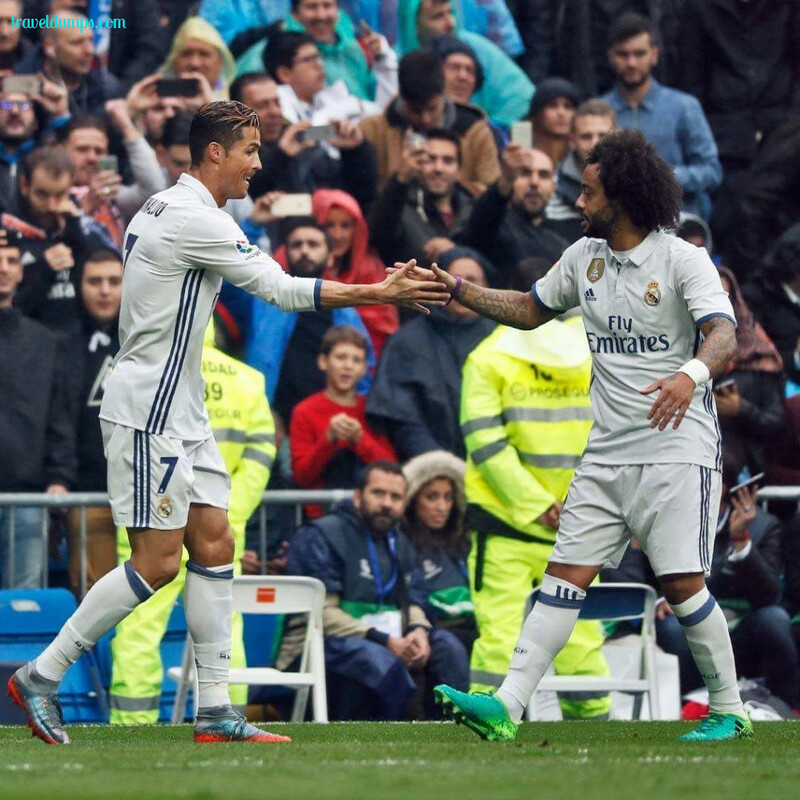 Real were then awarded a soft penalty which was missed by Ronaldo, it then looked like Valencia had snatched a draw with an excellent free-kick much to the derision of the home fans. 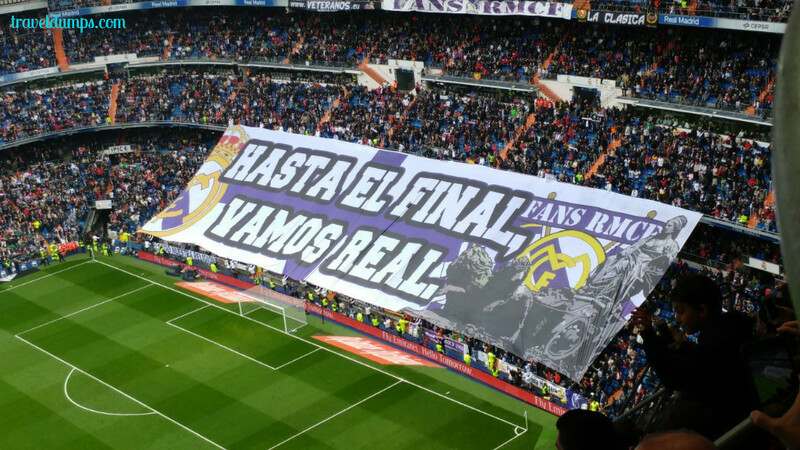 Only for Marcelo to up a gear and glide in from the left wing slotting home a winner in the 86th minute. Most of our Sunday was spent bar-hopping and watching sport. 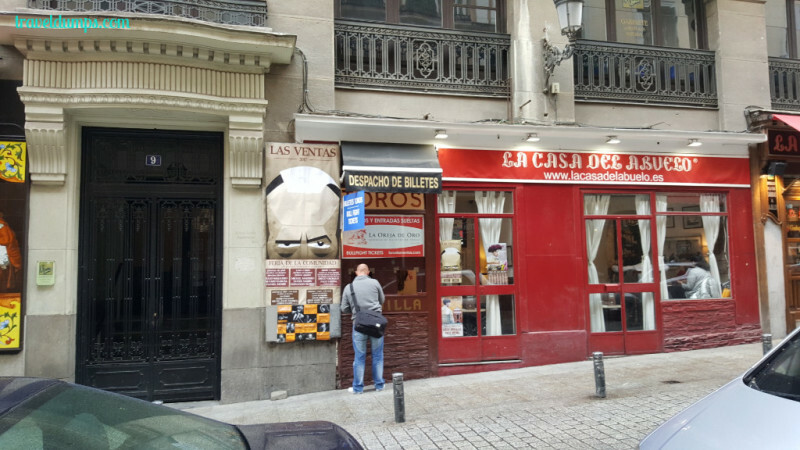 Next to one tapas bar was a booth selling tickets to the bull fighting on the evening. It was at the famous Las Ventas bullring and tickets were only 9 euros per person as it was amateurs and three year old bulls so we ended up booking them for the evening. I shall write a separate article on the bullfight. 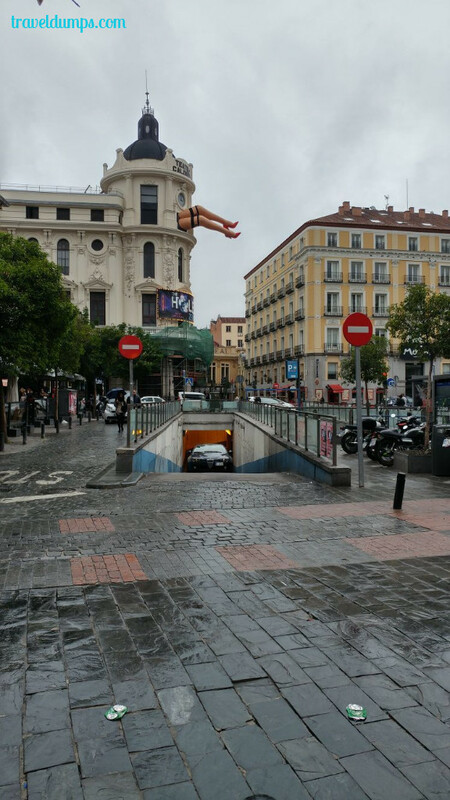 Walking up a side street we saw an interesting sight, these legs sticking out the side of a building. It was an advertisement for a theater but definitely attracted our attention. 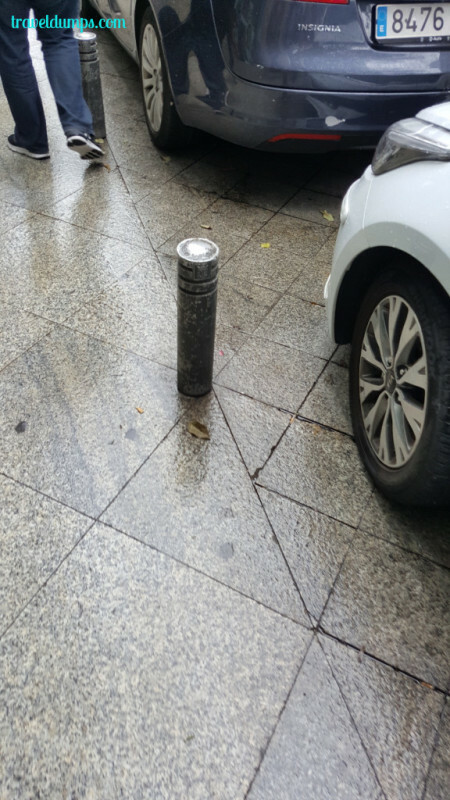 Also be aware of these posts in the photo on the right. A number of our group managed to smash our knees on them when not being fully observant especially if you've had a few alcoholic drinks. After the bull fighting the weekend came to a close with a few more drinks. 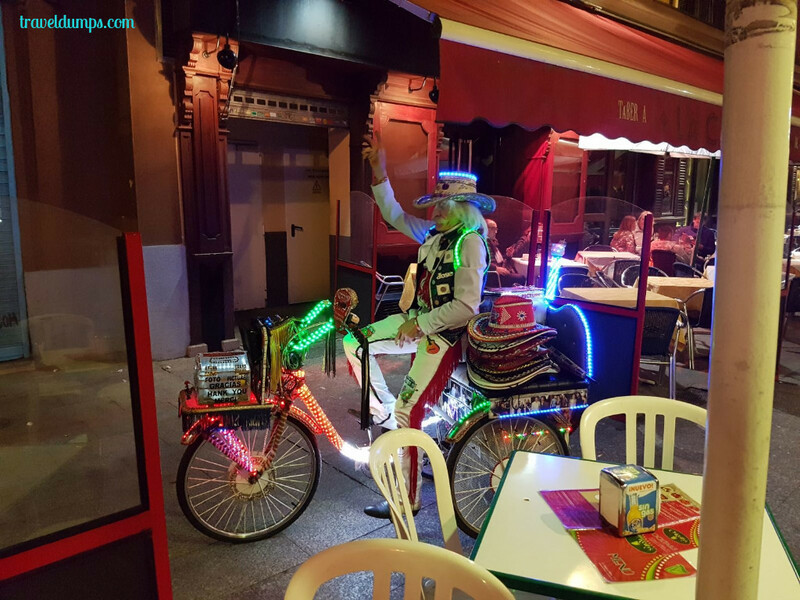 It was gone midnight when this colourful character came into view to brighten up our night. 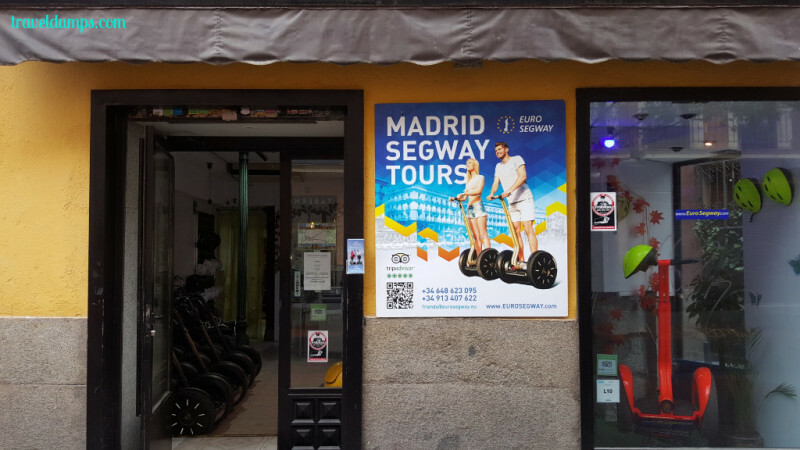 In summary, we probably only scratched the surface of what Madrid has to offer but we had a wonderful time and look forward to going back and exploring further.